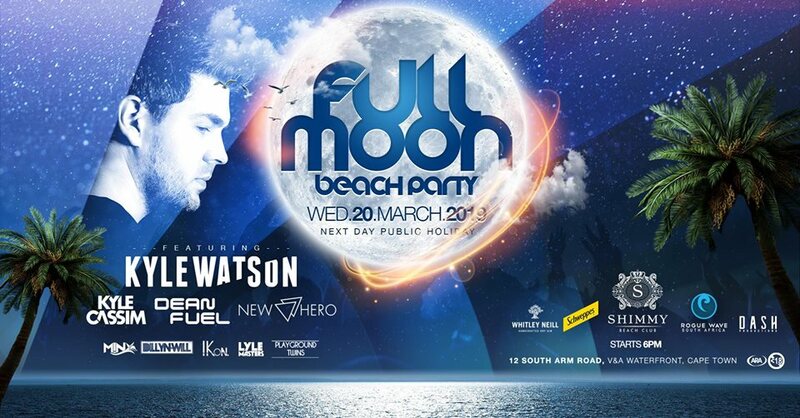 Like night and day, the once in a lifetime event celebrating the full moon transforms shimmy beach into a uninhibited hedonistic playground for cultural strangers around the globe to join in on the infectious vibes as they play into the evolving chaos. By the time the day finally approaches, the atmosphere in the mother city is ready to explode. Come on a journey with us as we join the rest of the world in celebrating this mystical night. THIS EVENT, IT'S ORGANIZERS AND VENUE TAKE NO RESPONSIBILITY FOR ANY LOSS OR DAMAGE TO PERSONAL PROPERTY, PERSONAL INJURY/LOSS OR DEATH. ENTERING THE VENUE IS ENTIRELY AT OWN RISK. RIGHT OF ADMISSION RESERVED. NO UNDER 18S PERMITTED.